I had to spend a lot of time thinking whether to put this review in the Beyond section or the Avant-Garde Metal reviews section, as the style of Blue Deers is one that’s hard to pin down properly. At one point you’re thinking to yourself “Sounds kind of like a Doom/Post-rock mix”, then it throws in some electronics and dispenses with the Doom without really making any huge changes. After a while, I realised I had just thought of calling it Electronic Post-Doom Rock/Metal and decided that was taking things too far, so I gave up and just decided to call it Awesome Metal. One of the things that Blue Deers absolutely nails here is subtle stylistic changes which keep the album completely fresh throughout. For one song, they slow down the tempo and add some chants, keeping exactly the same core sound, but changing the overlay. For another, they stop with the guitars and drums and let the electronics stand on their own, using seamless transitions to keep the flow of the music going. This is something that few bands can really achieve and is always fantastic to see on show. The guitar tone is generally a chunky, heavily distorted one commonly found in Doom Metal. This creates a nice fuzzy atmosphere and really draws you in. Other times, they use a clean tone with lots of reverb and use of layering to achieve the same effect. I really love the drums on this album. Rather than playing in the very bass heavy and punishing style of most Doom bands, rhythms found most often the styles of the more technical rock drummers are used. This helps keep a light tone to most of the album, taking away some of the edge of the guitars and contributing to a very unique sound. The bass is generally very effects heavy and makes an effective bridge between the electronics and guitars. Samples and general electronics are used extensively in this release, sometimes along with the rest of the instruments to add a kind of “voice” to the music, or alone to help along development. 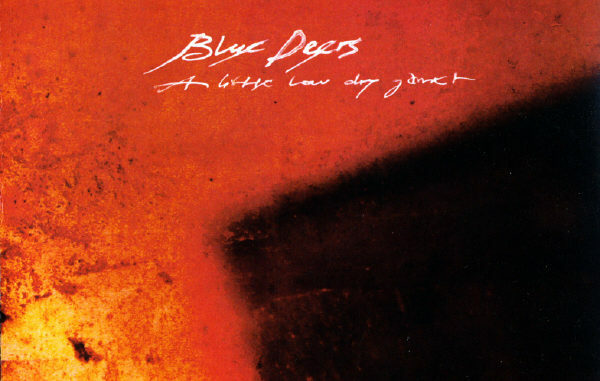 With their creative songwriting, intelligent use of electronics and effects, mature understanding of dynamics and unique overall sound, I could listen to Blue Deers all day. A highly recommended album to fans of Metal and Rock alike, as this album really has something for everyone. PS. I only just realised that this release is nearly an hour long when I was uploading this review. I honestly didn’t notice.